I went out yesterday to get some pictures and compass shots to finish up our first-ever Exploration Guides book on dayhiking. Anyone who doubts that even a cheap compass can give you good information needs to take a look at this. 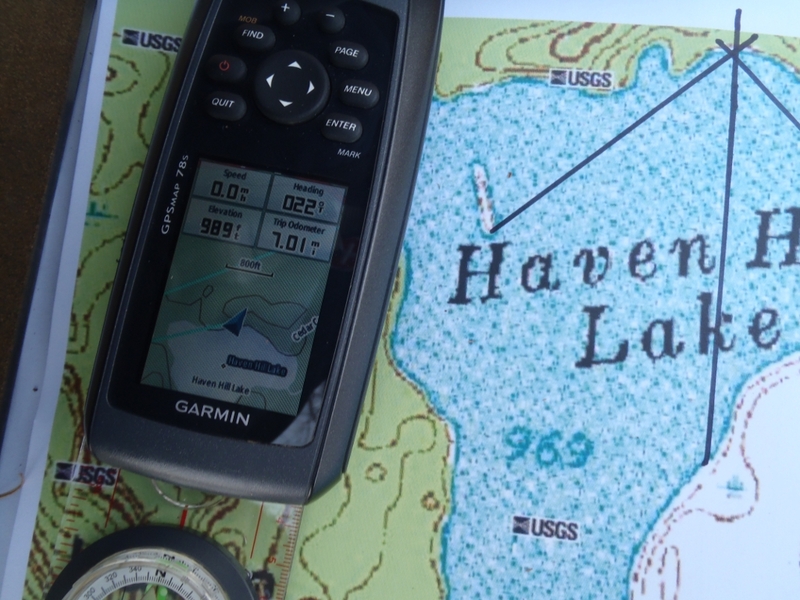 On the first reading with the compass, to each of three locations, the vectors all met perfectly on the lakeshore. Even my high-end GPS couldn’t come up with any better data.